PumpTalk - Petro-Canada: Road Trippin' - With Kids! Road Trippin' - With Kids! I always enjoyed plowing through a pile of books on our yearly road trips - and by my sullen teen years, I had my own Walkman to listen to emo songs. But still, I have to admit that I am a little jealous of kids today and the myriad entertainment options available to them. In-car DVD players, individual game systems, iPads; hours of fun! Of course, none of this new technology does anything to actually shorten your road trip - and screen time can get old after 10 hours on the road. 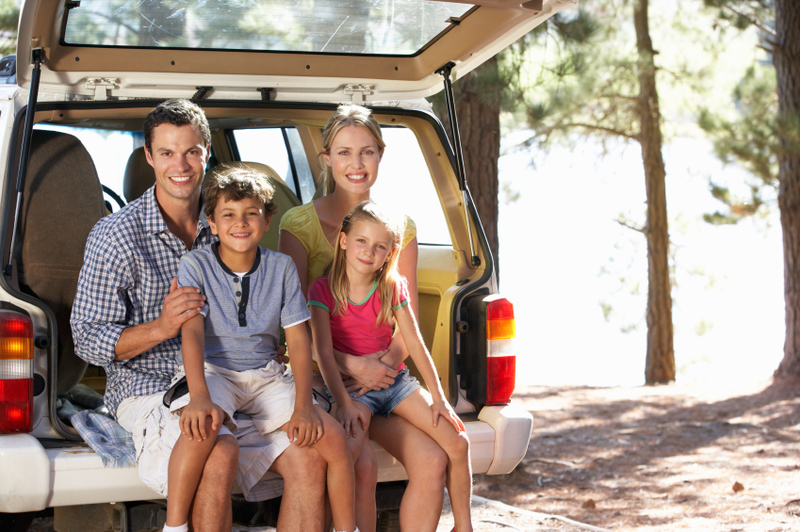 Here are a few basic tips to keep sane and safe while road tripping with littles. 1. Leave really early. Pack the car the night before and hit the road before the sun comes up. Sleepy time is quiet time. Plus, leaving early may help you beat traffic! 2. Bring a lot of Ziplock bags. These are great for storing half-eaten snacks, soiled clothes or anything else you want to keep off the floor of your vehicle. 3. Everyone gets a pillow. Pillows are great for encouraging snoozing, plus they can be used to create a barrier between fractious siblings. 4. Keep tummies happy. Snacks are one of the best things about road trips - there are hundreds of Pinterest boards dedicated to great road trip snack ideas! Be sure to bring gingerale, peppermints and saltines along - they're natural motion sickness remedies that might come in handy. 5. Get backseat organized. Set each child up with a backseat organizer so that they can access their toys, craft projects, books, DVDs, headphones, etc. You can buy these pre-made or make them yourself, if you're crafty! 6. Stop along the way! As we mentioned in our Fitness Tips for Road Trips post, you should stop for 15 minutes every 2 hours, minimum. If possible, plan to stop places where your little ones can stretch their legs; bring a ball or a frisbee to toss around. Make sure to check out our Five Essential Items to Bring on your Summer Road Trip post for more tips on road tripping. How do you keep your kids entertained on road trips? Share your ideas in the comments! Recently we did the road trip to BC, 13 days and 3760km, its a lot of driving but I seen some of the amazing part of BC. All my kids are under 10 but they keep them self busy with ipad, watching movies, playing electronic games. One common question I gets "Are we there yet?" but they all enjoyed the trip.